My personal opinion is that nobody ever actually achieves work-life balance. We all work hard trying to maintain it to a manageable degree day after day. When I started my business, I was so overwhelmed with everything I felt I “had” to do. I had been a designer for years, but being on my own was a whole new ball of wax. Everyone had an opinion for me. I didn’t know what to prioritize so I just tried to do it all and I ended up balling my eyes out one day frustrated by working all the time and feeling like I wasn’t making any progress. I also felt like my whole life was being consumed by my new business. I wanted out. I was ready to walk away and just get a job. I knew how to do the 9-5 thing. I had done that for years. But I could not seem to figure out how to translate the balance I had at a 9-5 with running my own business. The reality was I knew growing my business was going to be the best option for me if I could figure out how to do it in a way that allowed me to still have a life! I started reading articles and books about happiness, getting better clients and working less and I finally started setting boundaries on my time. I started to limit the number of meetings I was having. I started to prioritize what was most important to me—both personally and professionally. The blog that follows might help you do the same. I offer some of the tips and tricks I started to do over nine years ago and still do today. 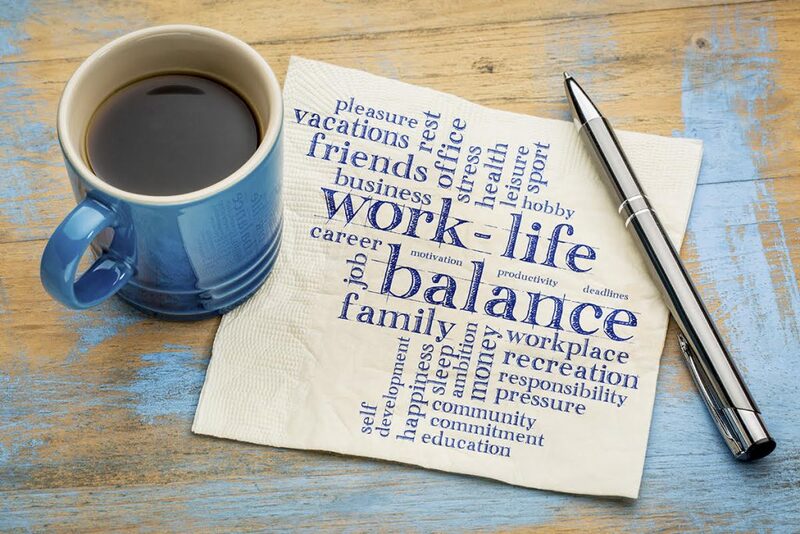 Hopefully, it can help you on your road to work-life balance. I don’t believe in work-life balance. The idea of balance is so temporary — it only last seconds. Yet we all search for this ideal state where everything is in balance/harmony all the time. Life is constantly shifting and changing — balance is fleeting. I prefer the idea of work-life flow. If we can live in flow amongst the change, adjusting as needed without resistance, we can thrive.